Back to SJS Night is taking place on Wednesday, September 2nd from 7:00 p.m.-8:00 p.m. We have more exciting changes in store this year than ever before at Am Yisrael SJS. We received a grant to teach Hebrew Through Movement in the Primary Grades. We are instituting a new form of blended learning (classroom combined with online) following best practices in secular educational technology. We are instituting a new Hebrew curriculum that has far superior assessment tools to what we have had in the past. 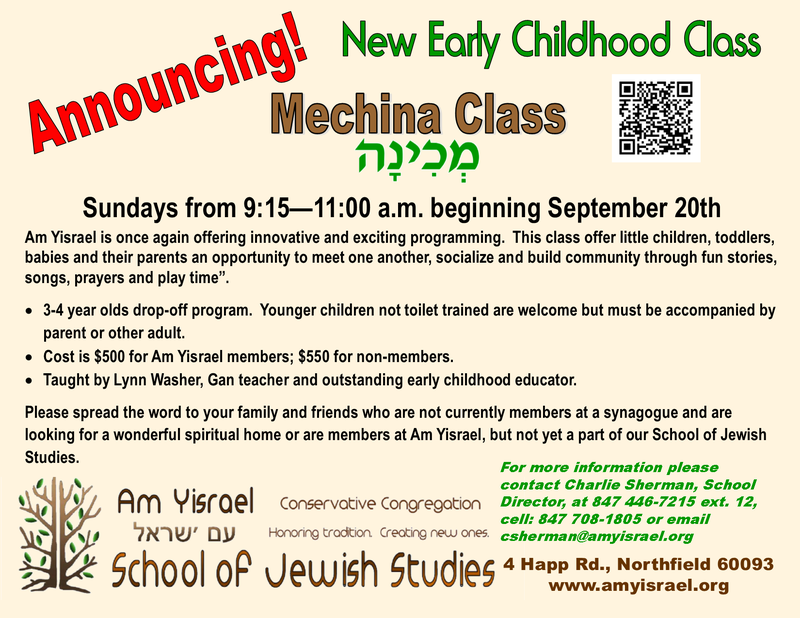 We already announced that we are introducing a Mechina Class for Early Childhood. So, even though the SJS Calendar has the event on Wed. Sept. 2nd listed as Parent Orientation, I am hereby renaming the event “Back to SJS Night”. Whether you are just starting at our School of Jewish Studies or have been with us for 10 years, each student will be in a new class, there are lots of enthusiastic teachers and madrichim ready to share their excitement and expectations with you and I cannot wait to see you either. Please RSVP to me so that we have a better sense for what our numbers will be, as we will have a very brief introduction in the Sanctuary at 7:00 p.m. and you will have the opportunity to meet with our teachers in the classrooms. On a totally separate note, in addition to the Intergenerational Torah readers, Mrs. Lynn Washer will be joining us at Am Yisrael this Shabbat, August 22nd. Anyone who does not know Mrs. Washer and is considering the Mechina Class (REMINDER: Mechina is the only class in SJS where a family does not need to be a member) will have the opportunity to meet her. Services on Aug. 22nd begin at 9:30 a.m., followed by kiddush lunch and a pool party at the Rabbi and her husband Dan’s home. On Sunday, August 30, much of the Chicagoland Jewish community will be taking part in the Mitzvah of Maot Chitim. 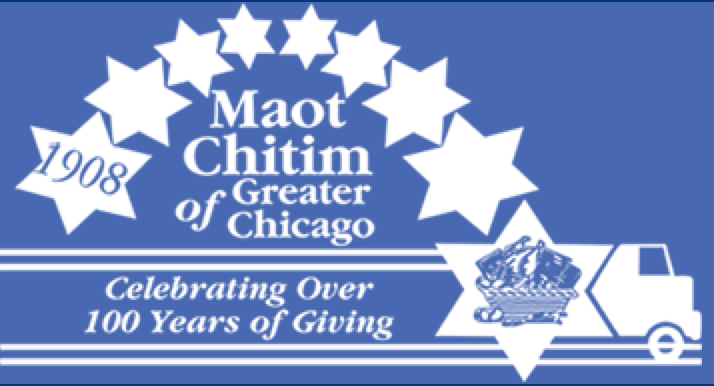 Am Yisrael will be participating in deliveries to the building we have been assigned for the Maot Chitim program the past several years: 4225 N. Sheridan Road, Chicago. There is no SJS on that day, so we are hoping that in lieu of sending a class or two to do this Mitzvah Project, we will get several individuals or families to volunteer. Please email me as soon as possible, preferably by the end of the business day this coming Friday, August 21st, if you will be able to take part in this huge mitzvah opportunity. For those volunteering, please arrive at the building by 9:45 a.m. The group, which will be led by our congregants and SJS parents Kevin Ball and Sarah Rothschild, should be finished by about 11:15 a.m.
For those who volunteer and will be driving to the building, you may park in the parking lot of the building if you can find a space. If not, street parking is generally not a problem. It is very helpful if you bring a dolly or a pushcart or anything with wheels that can be used to transport the boxes. 4225 N. Sheridan is a large apartment building of about twenty stories. We will be delivering a total of approximately 110 packages in the building. These deliveries by our group literally help to make it possible for several families to celebrate Rosh Hashanah who would otherwise not be able to get such holiday foods/items that will be in these packages. For those who have never participated in this project before, here is the website: http://www.maotchitim.org/. We are delighted to announce that we are now offering toddlers, babies and their parents an opportunity to meet one another, socialize and build community through story, song, prayer and play. -For three and four year olds as a drop-off program. -Younger children who are not toilet trained welcome but must be accompanied by parent or other adult. -Meets on Sundays, starting Sept. 20. -9:15 a.m. until 11:00 a.m.
-Taught by Lynn Washer, Gan teacher and outstanding pre-school educator. -Cost is $500 for Am Yisrael members, $550 for non-members. Am Yisrael is once again offering innovative and exciting programming. We hope you will take advantage of this unique opportunity. Please spread the word to your family and friends who are not currently members at a synagogue and are looking for a wonderful spiritual home or are members at Am Yisrael, but may not yet be a part of our School of Jewish Studies. 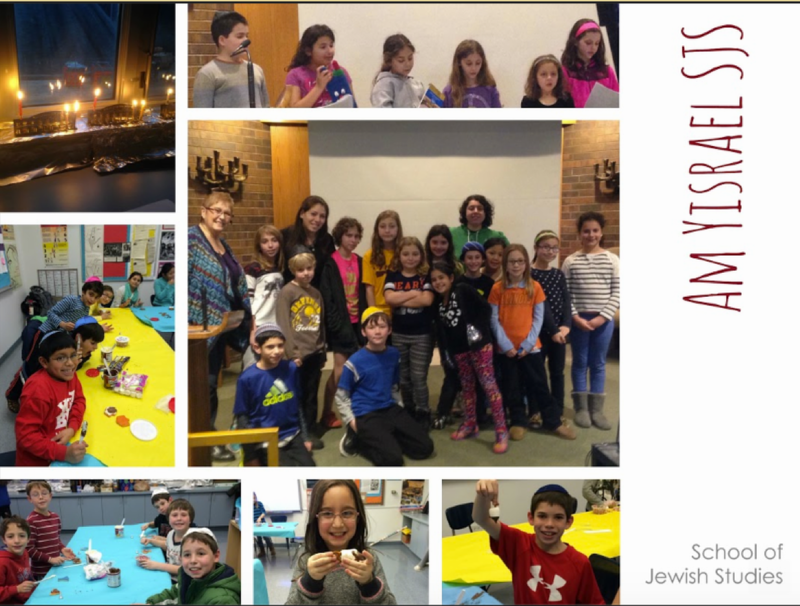 If you are interested or want to learn more about Mechina at SJS, please contact me in the synagogue office 847-446-7215 ext. 12, cell phone 847-708-1805 or via email csherman@amyisrael.org. Please click here to download and/or view this year’s Am Yisrael School of Jewish Studies (SJS) Calendar. Alternatively, you can always access our calendar under the Education tab on our Am Yisrael website, or simply bookmark this link: https://amyisrael.org/sites/default/files/images/pdf/2015-16-sjs-calendar.pdf. Please note that the Shabbat Morning Family Programming (SMFP) dates are not only in bold, but are also underlined. We cannot emphasize strongly enough the importance of attending these family programs once a month. Throughout the Jewish educational world we are trying to find the most meaningful ways of educating the 21st Century learner. When/what should we be studying together in person….What learning can be enhanced by online Jewish/Hebrew programs/applications….Ultimately, every study comes back to the fact that there is no replacement for creating meaningful community experiences blended into the equation. Shabbat Morning Family Programming is a quintessential opportunity to be together, sing, study, learn, teach, inspire, eat, schmooze and enjoy each others company as a Jewish community — adults and children together. We can’t wait to outline our vision for this school year at Parent Orientation, which is taking place on Wednesday, September 2nd from 7:00 p.m.-8:00 p.m. If you know of anyone who is not affiliated with a synagogue and is looking for a spiritual home, please let them know that we are around and would love to speak with them. We have three services coming up that will be especially family oriented: (1) Friday, Aug. 7th: 6:30 p.m.-7:10 p.m. in the courtyard (weather permitting, otherwise in the Sanctuary); (2) Friday, Aug. 14th: 6:00 p.m. at Gillson Park in Wilmette (bring your own dairy/vegetarian dinner and a dessert to share) and (3) Sat. Aug. 22nd: 9:30 a.m. Intergenerational Torah Reading, followed by kiddush and swimming at the Rabbi and Dan’s home. The first two days of Am Yisrael SJS classes for Gimel through Zayin are Wed., Sept. 9th and Wed., Sept. 16th. We have no SJS on Sun., Sept. 13th (Erev Rosh Hashanah). The first day of SJS for Junior Gan through 12th Grade is Sunday, Sept. 20th. 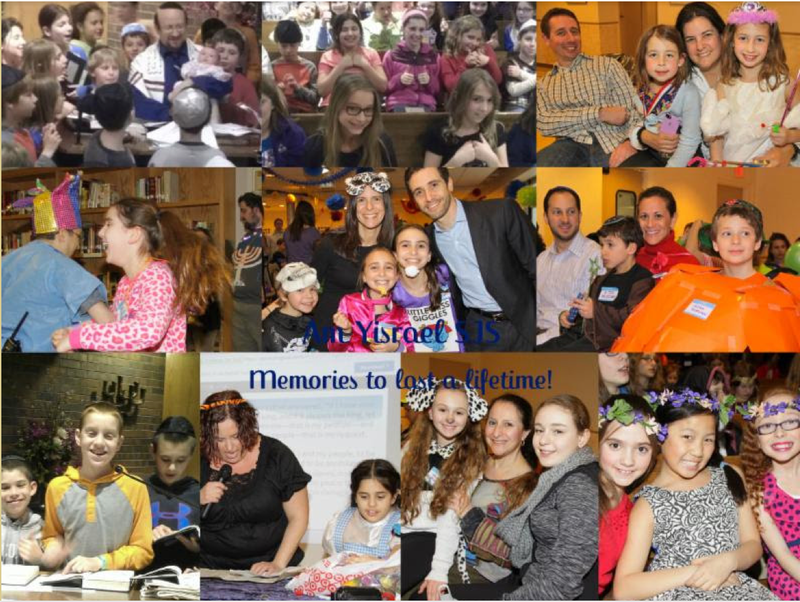 If you miss one of my emails, you can always look to find my messages to the Am Yisrael SJS families on my blog. I will also continue to use Social Media to share my write-ups. 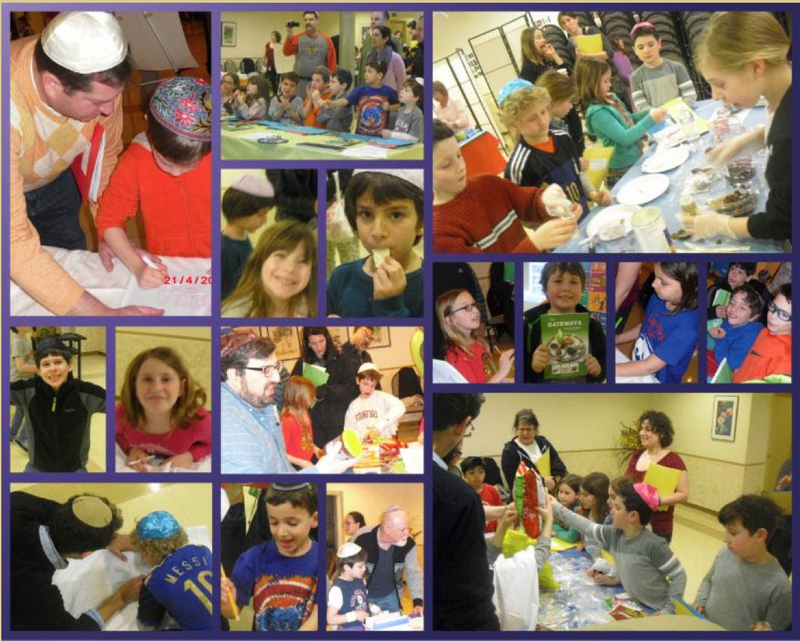 If you have not yet turned in your synagogue membership form and/or registered for SJS’ 2015-2016 school year, please be sure to fill out these forms as soon as possible. This summer my top goal has been making sure that our curriculum and technology for our youngest children through our High Schoolers are at best practice levels and I am incredibly excited about how it is shaping up for this year! Looking forward to seeing some of you at services tonight, at the beach service the following week, at the Rabbi and Dan’s pool (in conjunction with the Shabbat of Intergenerational Torah Reading) the following week and/or at the beginning of the school year.